I have it on 100% reliable authority that the Silver Falcons will be transferring to Hawk trainers soon - my source is involved in the process of determining the livery of the new mounts. This may be old news or may have been discussed before but this is the first confirmation I have of the rumors. Re: Hawks for Silver Falcons? They currently have barely enough money to keep the Astra's in the air. So where is the money going to come from for the Hawks? Will be a welcome change! Johan7720 wrote: They currently have barely enough money to keep the Astra's in the air. So where is the money going to come from for the Hawks? they are considering the Hawks for the aerobatic team. And also, how many Hawks get airtime these days? This is news for the people at Langebaan. 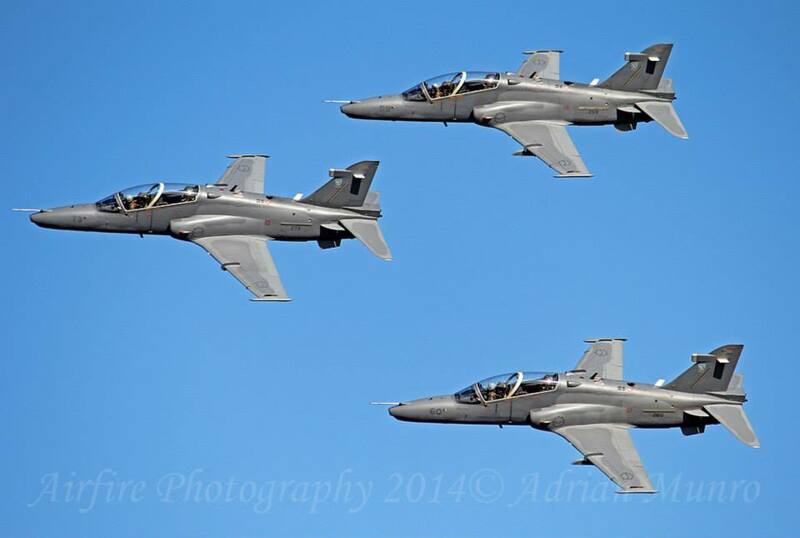 Perhaps it is for the new Hawk Formo Team as flown at AAD 2014? Last edited by canard on Fri Aug 26, 2016 11:13 am, edited 1 time in total. 100% confirmed - it started as a joke but there was obviously some truth in it's origins because it's a reality which I'm sure will be announced soon. Like I said before, not sure if thats still the case these days. But im sure they will be slightly cheaper to operate than those Turbo's? I somehow doubt that a turbofan uses less fuel than a turboprop?